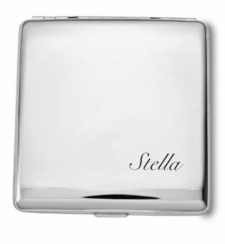 This engraved high polished silver cigarette case has a wonderful simple design with a beautiful gold finish. 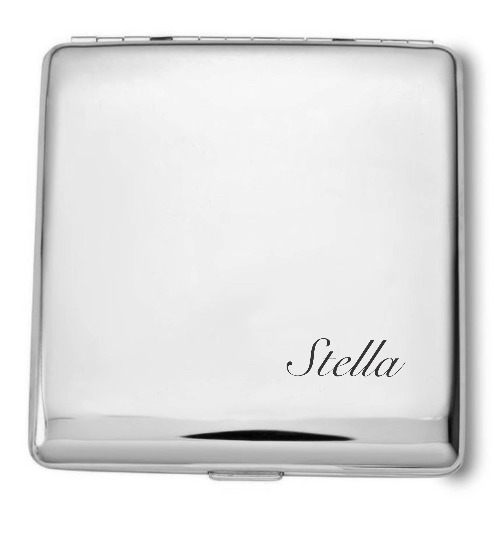 This personalized cigarette case will keep your smokes safe and fresh and ready to be enjoyed at any time. MEASURES 4.5" X 4.5" X .5"
Our engraved cigar tubes and personalized cigarette cases will keep your smokes in perfect condition while maintaining a look of sophistication and class. 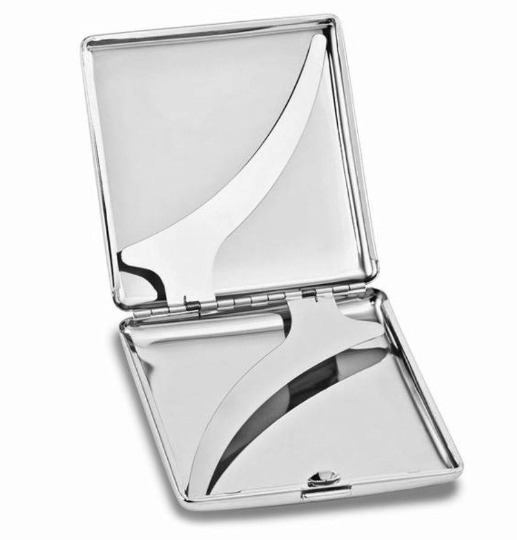 Constructed of stainless steel and high polished silver these cigarette cases are built to last. There are many font styles & logos to personalize your engraved gift with.